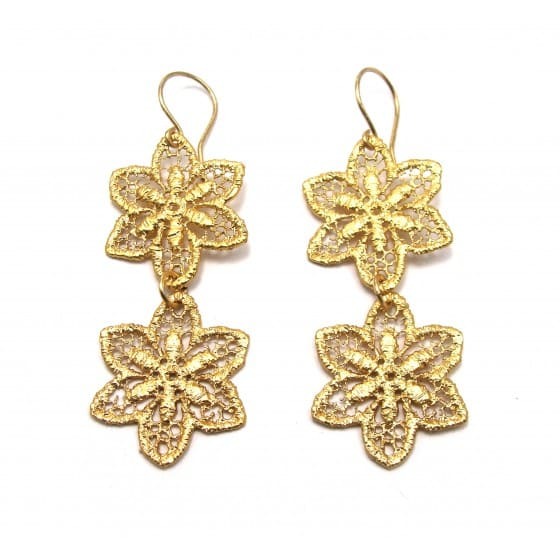 Matt gold flower lace drop earrings. Hung on high quality non-tarnish brass ear wires which are great for sensitive skin. Zara Taylor in London, United Kingdom.